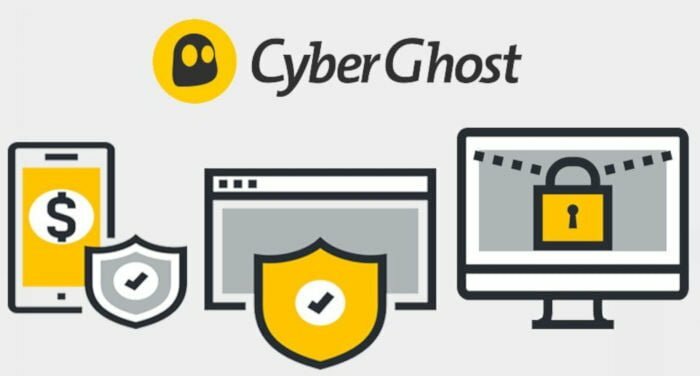 Review of CyberGhost VPN : Is it a secure VPN? A complete VPN: CyberGhost offers the majority of the options of a premium VPN: simultaneous connections, a large number of servers, blocking of ads and malware, a kill switch and split tunneling. In addition, its applications are well designed so that you can use all of its options without problems. Simultaneous connections: It offers up to 7 simultaneous connections, which is more than those offered by similar services. Easy to use: CyberGhost has an easy-to-use application to adjust its configuration based on why you are using it. It has 6 modes: Surf Anonymously (to browse the Internet securely and anonymously), Unblock Streaming (to watch Netflix, Amazon Prime, BBC iPlayer, ARD, Fox Sports and other platforms without restrictions), Protect Network (to securely connect to public Wi-Fi networks), Torrent Anonymously (to download files quickly, anonymously and securely), Unblock Basic Websites (to get around censorship in certain countries) and Choose My Server (to manually configure the VPN). Streaming function: For people who don’t want trouble and want to unblock streaming services that aren’t available in the place they are located, CyberGhost offers a specific function to do so. All you have to do is select the streaming service, choose the country (in the event that there are multiple local services) and connect the VPN. Speed: Many users complain that the speed isn’t the best and is far from that offered by similar services. Security: Independent audits of the VPN have highlighted some potential security problems. As tends to be the case with VPNs, even though they say “no logs,” the majority continue to store information on their users, and CyberGhost isn’t an exception. In addition, its ad blocking doesn’t work with all websites. Last of all, audits have indicated that the company that owns this VPN is an Israeli company called Kape, which has a reputation for creating malware. Website: The information on its website is confusing and it’s very difficult to find the information you’re looking for. Below are details on the prices of the different plans. Even though the prices are given in euros, it’s the exact same amount in USD, because of which it’s advisable to purchase the VPN on the American website and pay in USD instead of euros. Even though there are certain doubts around its security and speed, Cyber Ghost is an ideal VPN for people looking for a simple way to access their favorite streaming services regardless of where they are located. Its 7 simultaneous connections are also an incentive to choose this VPN if you want to share expenses with someone. there are better options for similar prices. Click here to try CyberGhost now!